A true gem among the vintage absinthes I've had the pleasure of tasting. 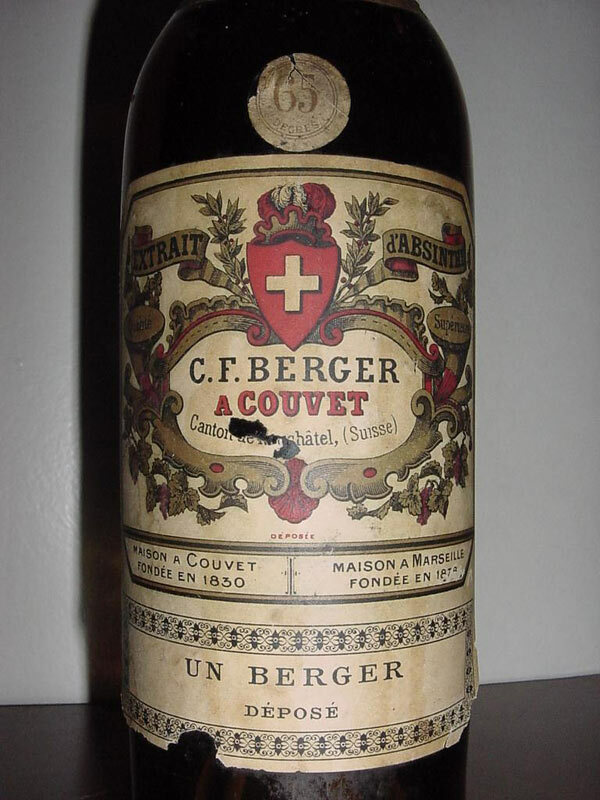 The C.F Berger was also one of the first pre-ban absinthes I ever tasted. It certainly made that trip to Paris extra special. People sometimes refer to floral gardens in bloom to describe tastes of absinthe. I tell you, forget the floral gardens in bloom. This here, is what gave the appearance, the smell, the look, the feeling, the state of mind entering the garden, its definition in the first place. This IS the garden. This is where the blooming starts, lives and keep living. Having been kept in its original clear glass bottle since around 1910, the chlorophyll have been affected by sunlight and time in combination - the color have changed from the slightly greenish, yellow olive tint, to more brownish. Pouring it in the glass reveals that the only thing affected is the color. A lovely, wonderful bouquet immediately reaches my nose. It fills the glass, the room, everything. I am amazed by its appearance. Tasting it neat was, despite the high degree alcohol, a pure pleasure. So smooth, so very well balanced, so floral and all my senses are affected by it, in all positive ways possible. The real magic though, appears upon diluting it with iced water. The brownish, almost 90 years old absinthe, transforms into the most wonderful, light green opalescent louched absinthe I've ever experienced. Deep down, despite the change of color, the green fairy works her magic, and presents a perfect drink. Decades have passed since this particular bottle was produced and it still manages to totally knock me off my feet. The incredible crisp, yet smooth, floral character of the Berger indeed is the definition of a garden in bloom. 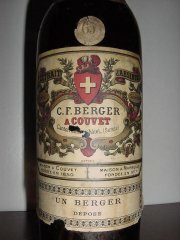 The taste of the C.F Berger is so wonderful, I have trouble describing it. It is so extremely complex and still so perfectly well balanced that it is not overwhelming in any way. There is simply nothing wrong. Nothing other than the fact that I don't have a bottle of my own. This is something I will never forget. A taste and a reference I will carry with me, always.